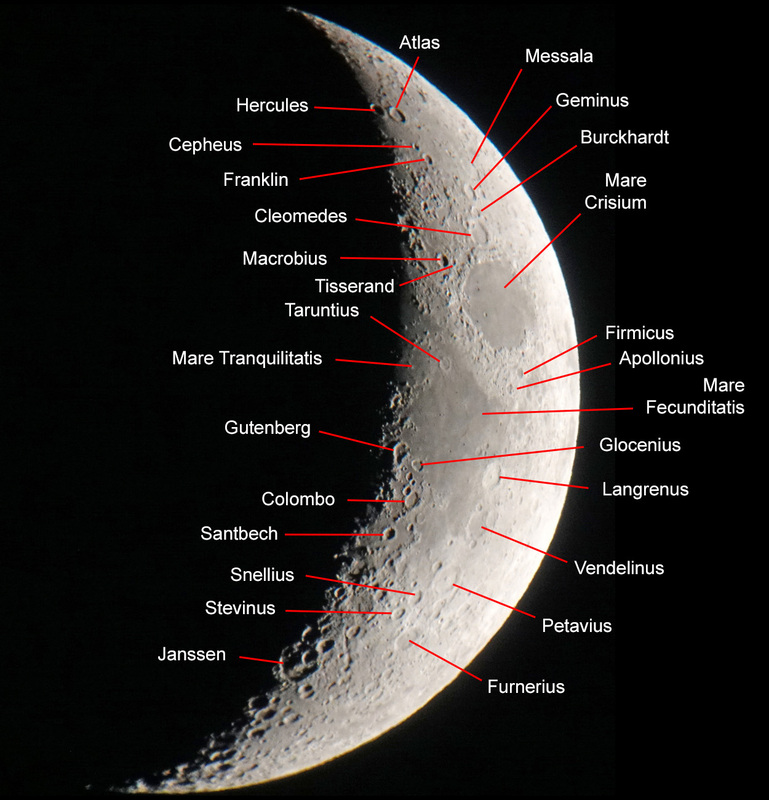 On this page, the moon can be seen from shortly before Half Moon. 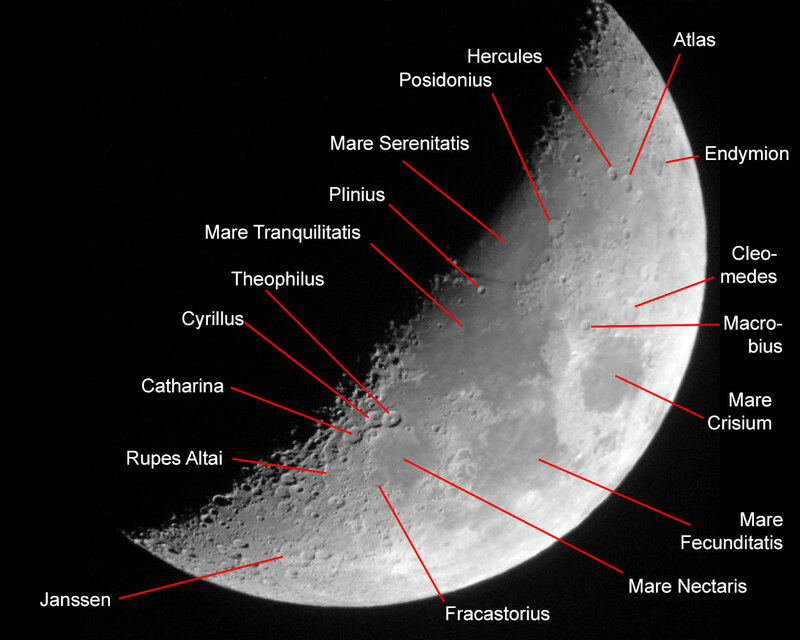 Back to the overview of my "moon walks"
The following photos show the moon (shortly) before becoming Half Moon. They are rotated or mirrored in such a way that they correspond to the normal visual impression. Note: On this page, I used small craters to judge the resolution of the photos, but I do not indicate them in zhe photos. 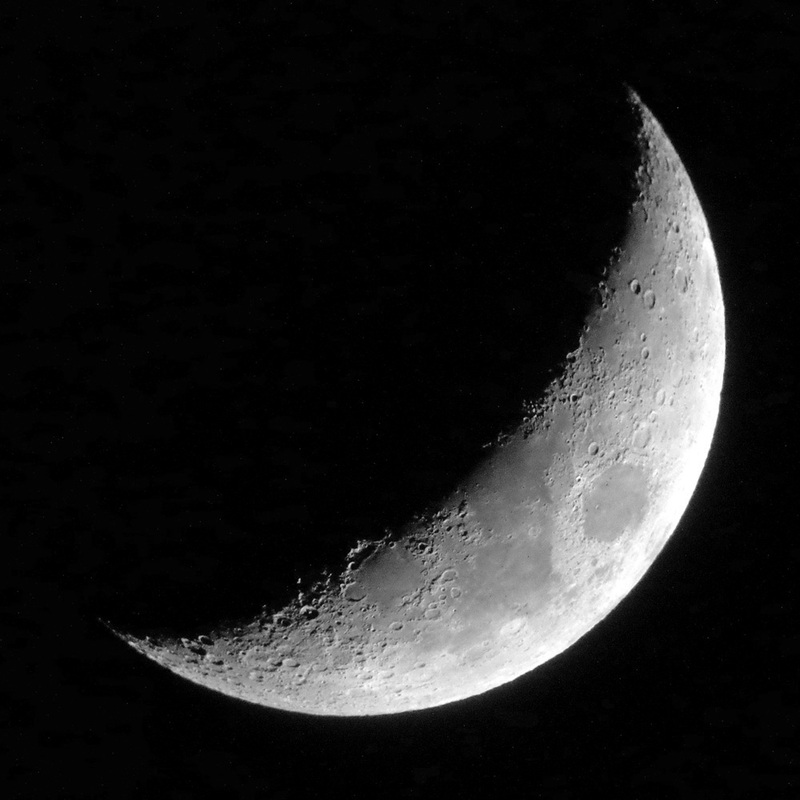 I start with a moon photo that was taken on August 15, 2018. It was taken with the Sky-Watcher Skymax-127 tube and the camera screwed to the eyepiece. 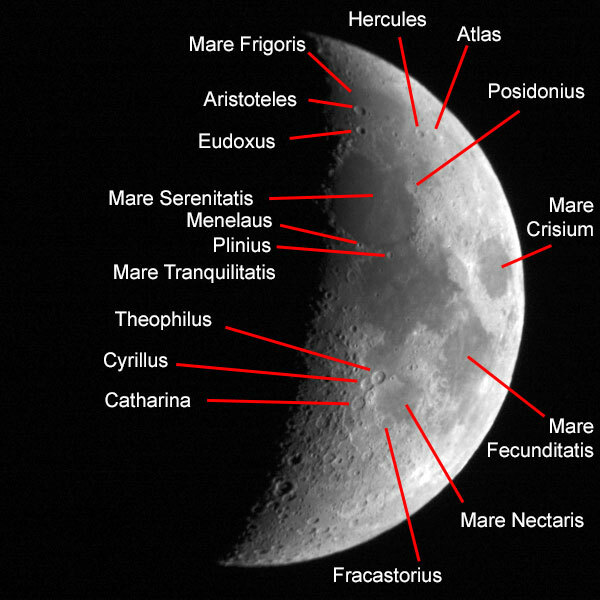 The smallest craters that I checked (for example, the crater Swift in Mare Crisium) are about 12 km in diameter (see the large version). So, despite having more pixels, the resolution of this photo is not better than the one of those in Sets 4 and 5. 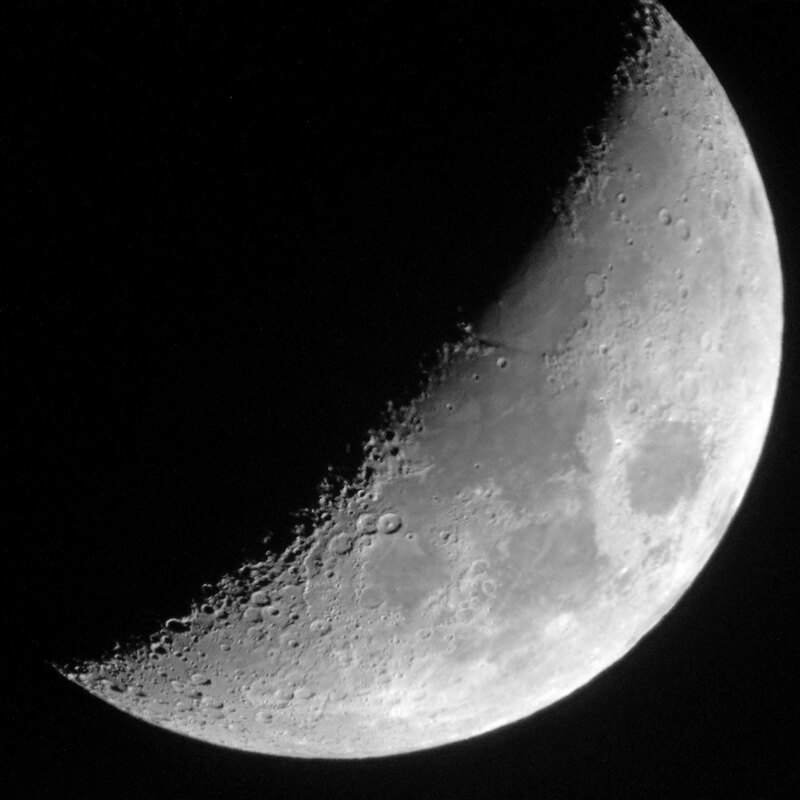 I start with a moon photo that was taken on April 1, 2017 (Half Moon was two days away on April 3, 2017). 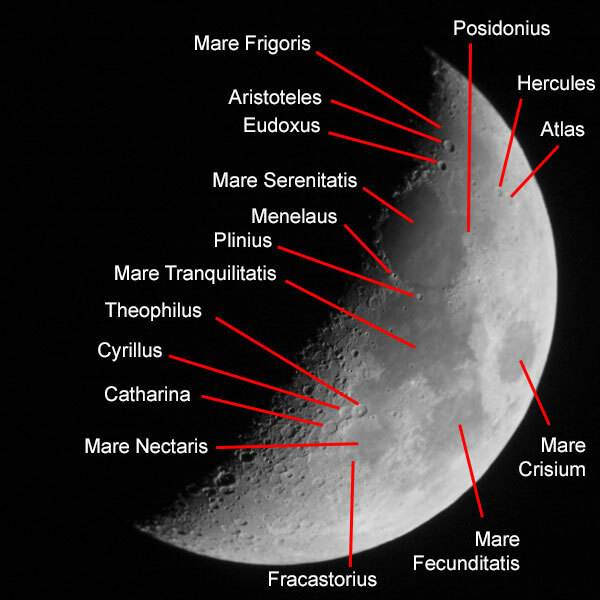 It was taken with the Sky-Watcher Explorer 150PDS tube and the camera held to the eyepiece. The smallest craters that I checked (near the crater Chevallier) are about 12-13 km in diameter (see the large version). So, despite having more pixels, the resolution of this photo is not better than the one of those in Sets 5 and 6. 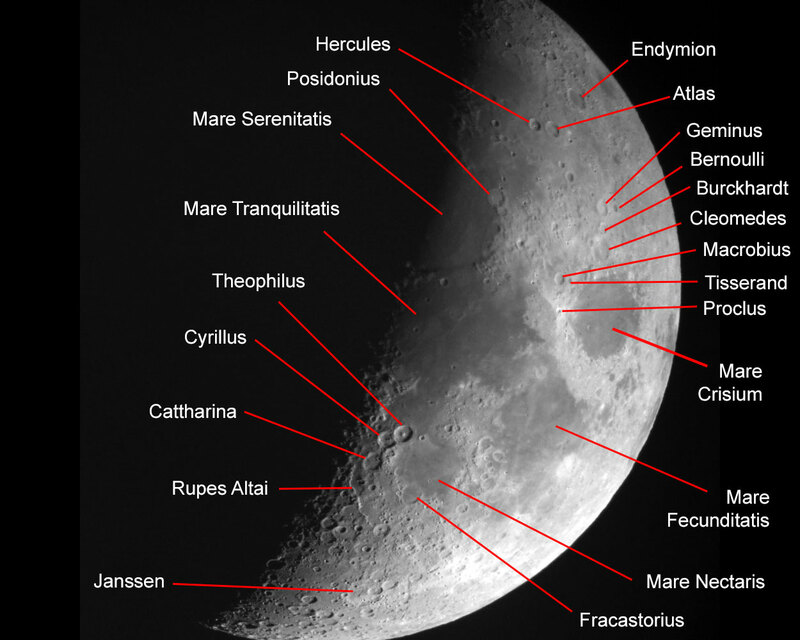 The following moon photos were taken on April 2, 2017 (Half Moon was on April 3, 2017). 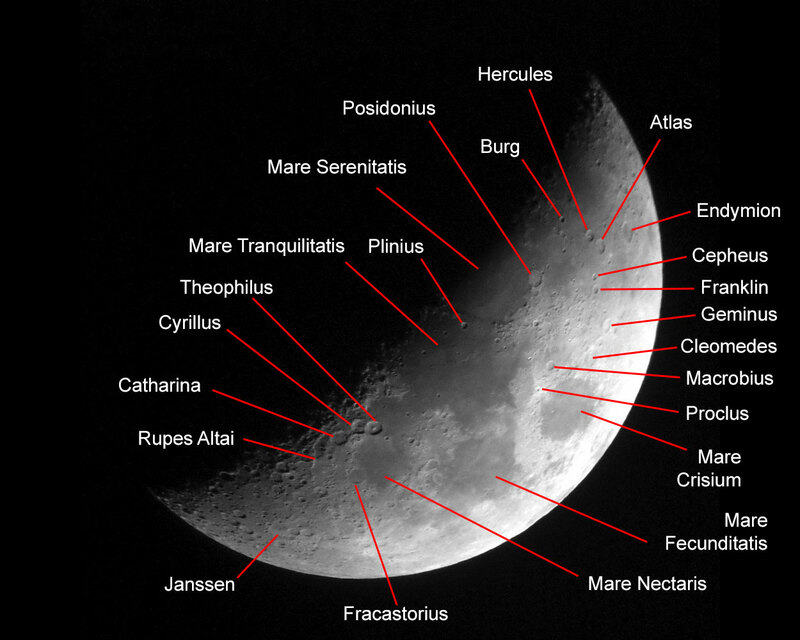 They were taken with the Sky-Watcher Explorer 150PDS tube and the camera held to the eyepiece. 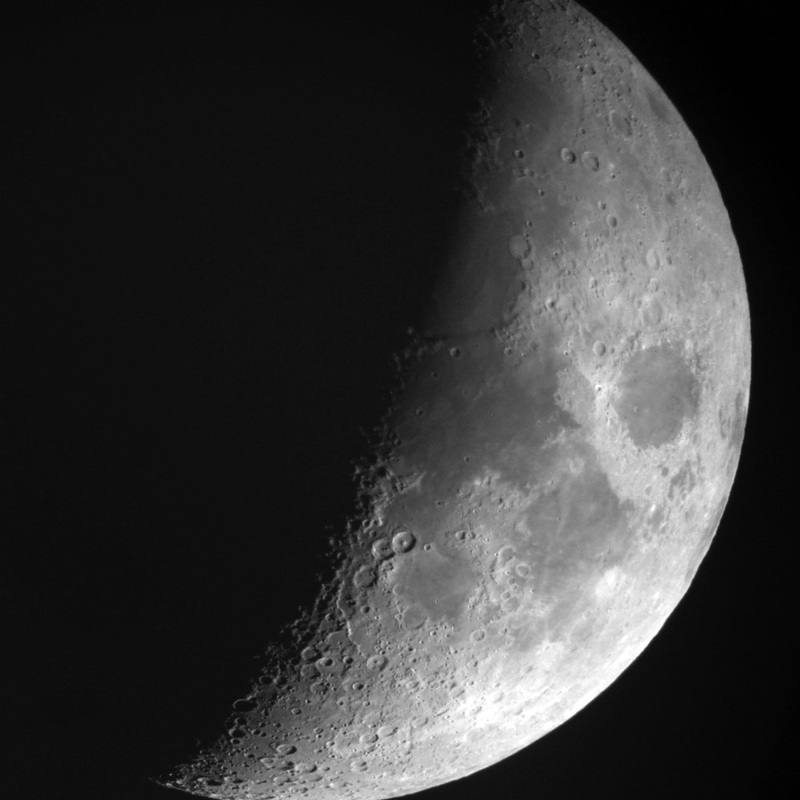 I used a 16 mm and a 7 mm UWA eyepiece. 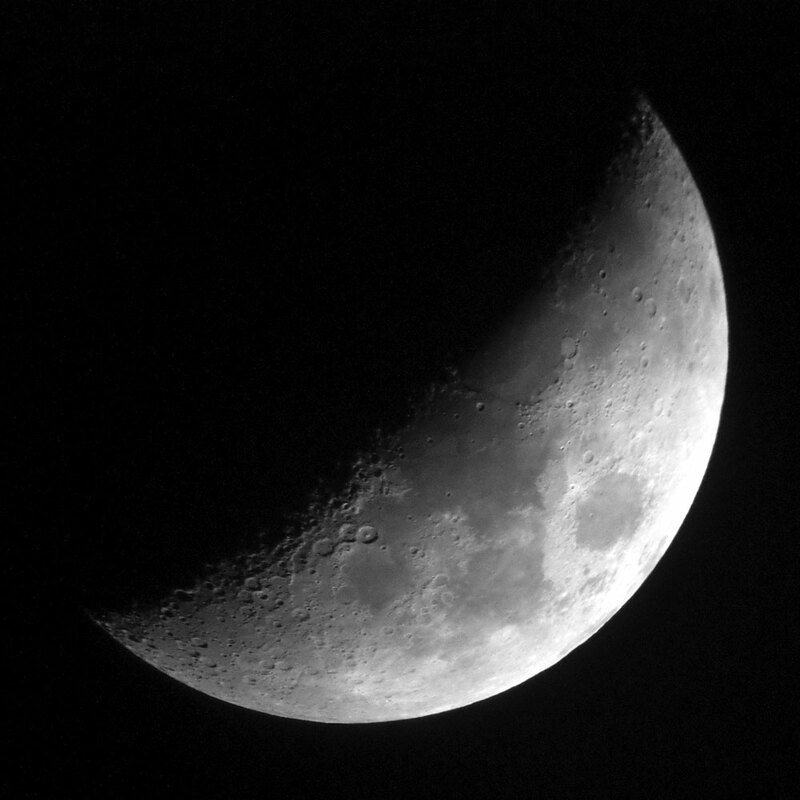 With the 7 mm eyepiece, I was able to see the whole moon, but unfortunately I was not able to photograph it completely. The smallest crater that I checked (in the crater Janssen) is about 12 km in diameter (see the large version). So, despite having more pixels, the resolution of this photo is not better than the one of those in Sets 5 and 6. 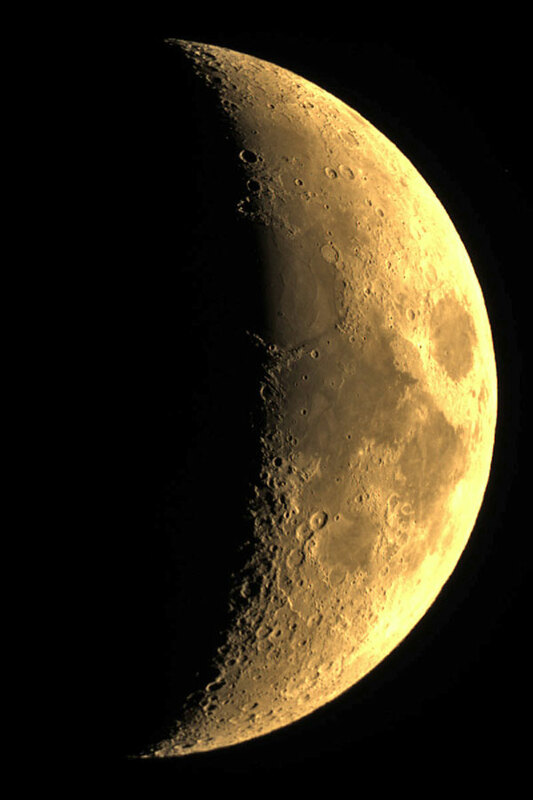 The following moon photo was taken on April 2, 2017 (Half Moon was on April 3, 2017) and was taken with the Sky-Watcher Skymax-102 OTA and the camera held to the eyepiece. The smallest crater that I checked (in the crater Janssen) is about 12 km in diameter (see the large version). So, despite having more pixels, the resolution of this photo is not better than the one of the following photos. Now, I present a photos of the moon that was taken with the Sky-Watcher Skymax-102 OTA and the Atik Infinity camera on February 21, 2018 (two days later, on February 23, 2018 was Half Moon). 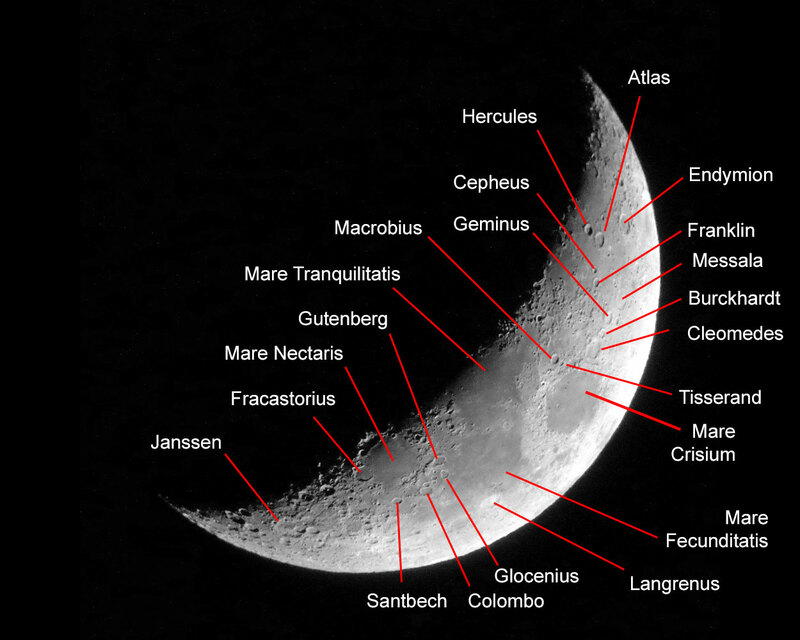 The smallest craters, for example, Torricelli C ( 3 x 2 pixels), that just appear as dots are about 11 km in diameter (look at the larger version). 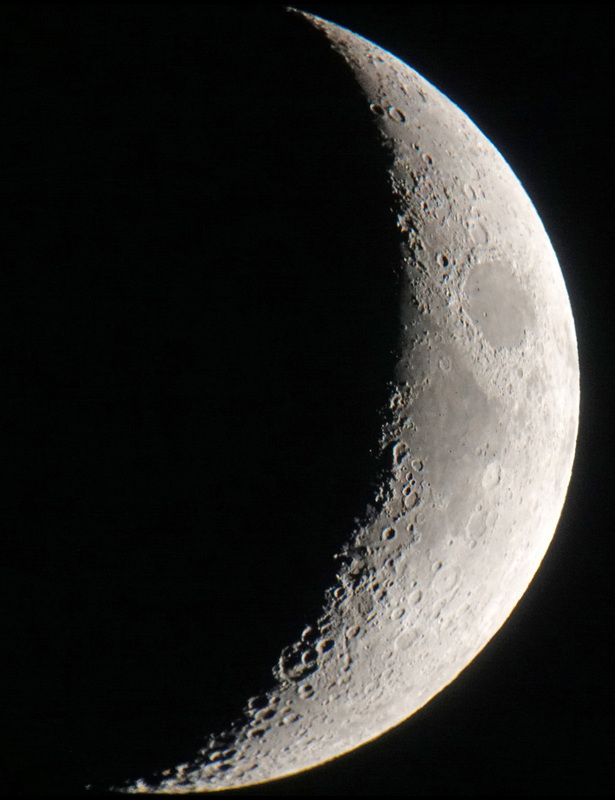 Finally, I present two photos that were taken with the 5" Sky-Watcher Heritage P130 telescope and the camera held to the eyepiece (April 20, 2010; one day later was Half Moon). 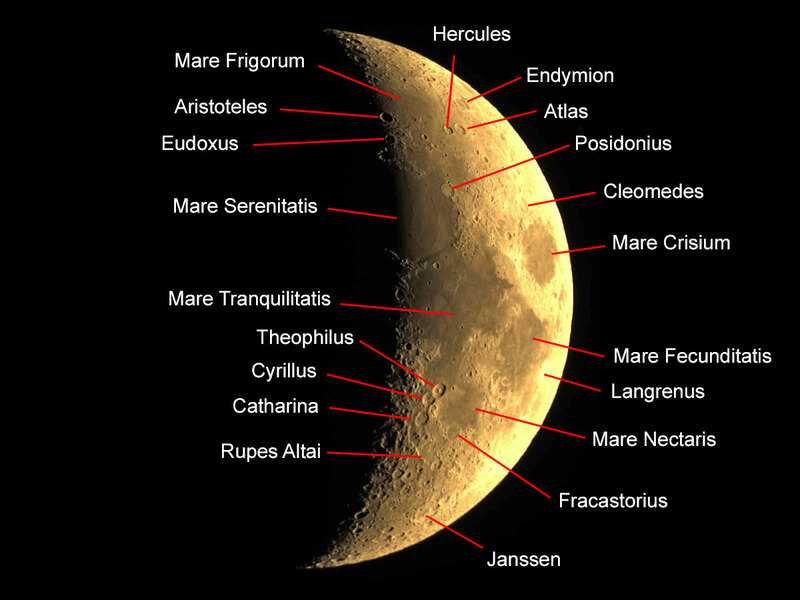 The smallest craters that just appear as dots are about 14 km in diameter (look at the larger version).